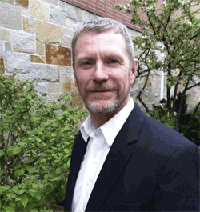 Paul McGovern has over 25 years’ experience teaching music from kindergarten to college. Most recently, he directed choral and instrumental ensembles and taught music courses in several schools throughout the Portland Public Schools. Previously, he taught music courses and directed choirs at Saint Joseph’s College, SUNY-Potsdam’s Crane School of Music, and Georgia Southern University. With an affinity for technology, he recently transitioned to a new career as Elementary Technology Integrator for the Maranacook Area Schools. Throughout his conducting career, he has performed several masterworks, including Handel’s Messiah and Four Coronation Anthems, Haydn’s Stabat Mater, Missa Sancti Nicolai, and Missa in tempore belli, Britten’s Saint Nicolas, several cantatas by J. S. Bach, and Requiem settings by Mozart, Fauré and Duruflé. He has conducted choral ensembles of all types, ages, and sizes. Most recently, he was Conductor of the Southern Maine Children’s Choir, part of the University of Southern Maine’s Portland Youth Ensemble program. Previously, he served as Conductor of the Granite State Choral Society, based in Rochester, NH, and the University of Maine-Farmington Community Chorus. He has also served as Chorus Master for the White Mountain Musical Arts Summer Bach Festival and for several Opera Maine productions. Dr. McGovern received his Bachelor’s degree from Queens College/CUNY and his Masters and Doctoral degrees in Choral Conducting from Indiana University. His doctoral document, A Conductor’s Analysis of Paul Hindemith’s “When lilacs last in the dooryard bloom’d” was nominated for the ACDA Julius Herford Choral Dissertation Award.